This Custom, ALL USA Product is ideal for Evaluators training patients and clients. 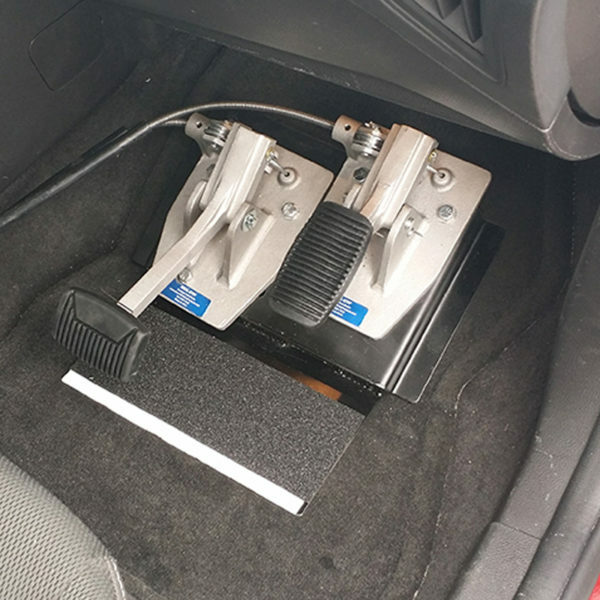 Made of light-weight Aluminum (6 lbs), it fits securely on the floorboard, and attaches easily to the Brake and Gas Throttle on the Driver-Side. 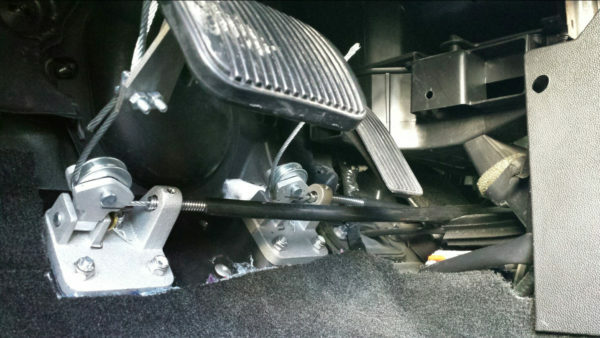 As vehicle technology improves from year to year, so does components under the floorboard. For “Do-It-Yourself” buyers, The Platform is a must as wiring, computer parts, and foam under the floor on the Passenger-Side can make for tricky and sometimes impossible installations. The 25 Gauge Steel PLATFORM is Custom-Welded with an Angled Extension-Plate made specifically for your vehicle year, make and model. All metal and cables are made to military grade spec and of highest quality. 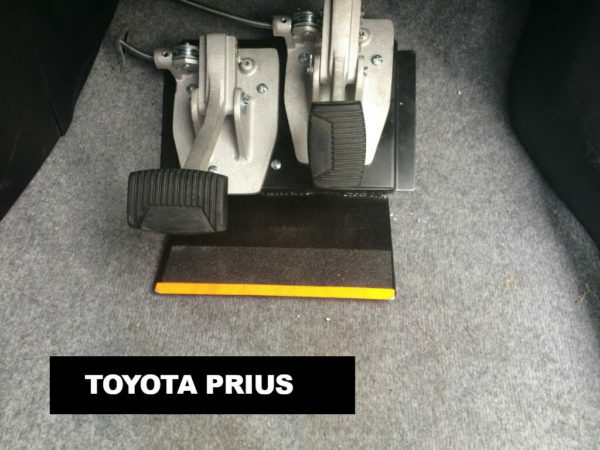 When placed on the Passenger-Side Floorboard, it will align exactly with the slope of the “firewall” and stay firmly in place in use. For “Do-It-Yourself” buyers, this is a must as wiring, plus computers and foam under floor on Passenger-Side can make for tricky and sometimes impossible installations. Using the PLATFORM WILL SAVE EXTENSIVE DRILLING AND LABOR for Passenger-Side Floorboard attachment.